U.S. Communities, the leading national government purchasing cooperative for state and local entities, school districts (K- 12) and higher education institutions, has partnered with DLT Solutions to provide registered users with Oracle and Amazon Web Services technology solutions to fit your IT initiatives. DLT Solutions, an Oracle Platinum Partner, has over twenty years of Oracle public sector experience to help solve agencies' most critical issues. Featuring certifications and specializations in key Oracle technology, solutions experts, and professional services, we are your one-stop, go-to-Oracle partner. Our expertise spans the complete "Oracle Red Stack" as well as a variety of IT solutions including cloud computing. 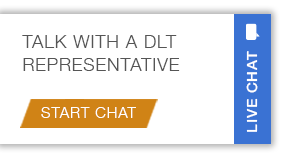 As a Premier Consulting Partner for Amazon Web Services (AWS), DLT Solutions helps make the path to the cloud seamless and cost efficient for state and local agencies and education institutions. By leveraging the AWS Cloud, agencies can reduce costs, improve service delivery and increase productivity across the entire organization. For more information please visit our U.S. Communities information page.